DETROIT – Chevrolet Blazer 2019 is General Motors' new medium sized SUV. When it was time for GM to put cars on the screen over their Chevrolet fountain, they chose a Silverado and Blazer. But Blazer is made in Mexico so the display led to controversy and pushback from UAW and workers. Saturday morning, General Motors made a change that replaced Blazer with a Traverse built in Lansing. "It makes sense that this is a car city. We should have cars made in Michigan at our baseball stadium," said the cockpit Hallie Prescott. The Presidents said they never paid special attention to the type of car shown over the fountatin. "As a baseball fan, tigers fan, I can't say I would have, I think, especially noticed. I'd probably have a little more awareness, but earlier no," John Prescott said. They said they understand why the workers would be disturbed and that they support them. "If that's what the people who make cars here locally and support the communion felt a good move, then I suppose I'm behind it," John Prescott said. 9 Traverse and 2019 Silverado run over Comerica Park. In particular, the vehicles are a 2019 Chevrolet Traverse High Country built in Lansing and a 2019 Silverado LT Trail Boss built in Fort Wayne, Indiana. 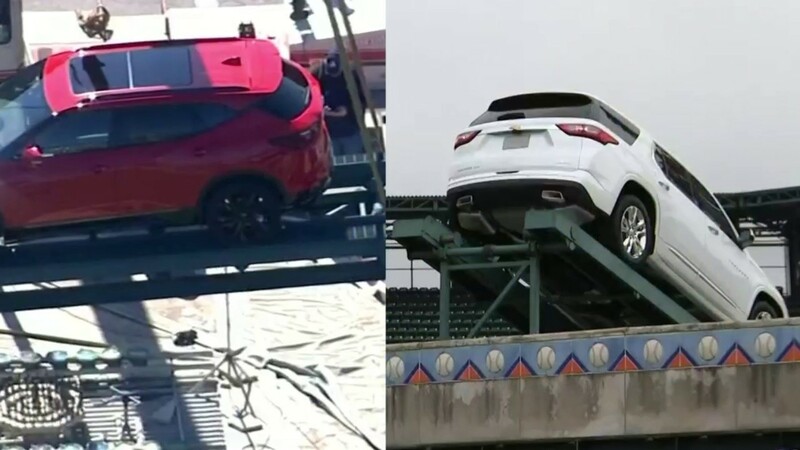 "We want people to enjoy baseball without interference, so we have replaced the Chevrolet Blazer with a Chevrolet Traverse on the Comerica Park Fountain," GM said in a statement. "American workers make a significant contribution to Chevrolet Blazer's success. Blazer generates more than half a billion dollars in US manufacturing economy every year and helps support thousands of paying US jobs."